Sully holds a USSF 'A' License, NSCAA Advanced National Diploma, UEFA ’B’ License, USSF 'B' License, and the English Preliminary Badge. He played with the Queens Park Rangers (QPR) reserves of the English Football Association. Coach Sully is one of the region’s most successful technical trainers and coach. 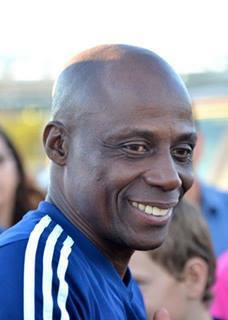 He has a proven track record of developing nationally ranked teams, state champions and highly successful Olympic Development Program (ODP) players. He is very passionate about the game of soccer, being a positive impact in the lives of children and young adults in the US and England. Welcome to the Premier Athletics Club (Premier AC). Thank you for choosing our club as one of the key components of your child’s soccer education. We are honored to have your trust and the opportunity to provide age appropriate soccer training for your child. Our organization employs the best soccer coaches and administrative staff to ensure the learning environment is safe, fun, and well organized for your child. The core coaching staff includes ex-professional players with advanced coaching licenses and our administrators are professionals with many years experience managing soccer clubs and organizations. However, the most important key to our family environment is the fantastic volunteers and parents who always step up to the plate as team managers, photographers, snack coordinators and our player’s biggest cheerleaders. Again, we welcome you to the Premier AC family. "Proud father and coach of Bill Hamid FC Midtjylland #16 and USMNT #12"